We have been using many different types wood-based products. These are used with many different ideologies, such as a replacement for wood, to use of low quality woods, and to use wood wastes generated in other industries. The products, Fibreboard, Hardboard and Particle-board, are all made from wood fibres as the chief constituent and are called engineered wood products. In general, these are also known as panel products, as the chief use is in sheets form or as panels. The uses include, building construction (for form-work and surface support), partitions, ceilings, roof undersides and underlay, doors, exterior-interior siding, wall panelling, shelves, etc. The boards are used directly or with paint, veneer, lamination, engravings, and other proprietary textured finishes. Other specific products include precast-moulded forms. The precast free-form moulds such as dashboards, rear parcel shelves, and inner door shells, covered with a rexine, leather, fabrics, etc. Types of fiber-based boards include particle board, medium-density fiberboard, and hardboard. Fiberboard is often used as a synonym for particle board, but particle board are low-density fiberboard. Low quality barked and un-barked wood, wood wastes are pulped with Mechanical or semi chemical processes. In one process, the raw materials are reduced to fine size and subjected to a high pressure steam treatment and forced out through a valve to reduce the mass to pulp. In wet felting pulp sheets are formed of various thickness and density is controlled by the pressure. In dry felting process, the pulp is drained, separated and additives are mixed. Additives include glues (1 to 4%), wax, paraffin, rosin, polymers, colourants, chemicals to improve the resistance to microbes, insects, and fire. Dry felted fibreboard with thermoplastic resin bonding materials are available in low, medium, and high densities. 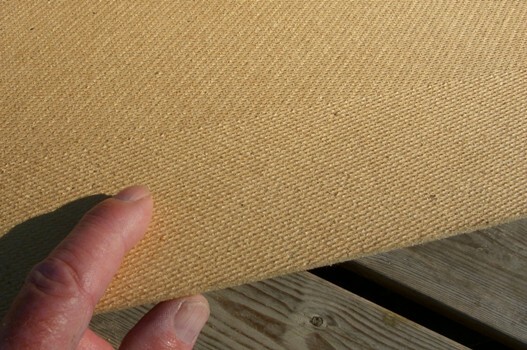 Some types of fiberboard are considered green building products, as these are made from bio-based ‘secondary raw materials’ (sugar-cane fibers-bagasse). The binding agents, are all-natural products, consisting of vegetable starch, and do not contain the formaldehyde. Particle boards are engineered wood products, manufactured from wood chips, sawmill shavings, or sawdust. These are also known as chipboard. 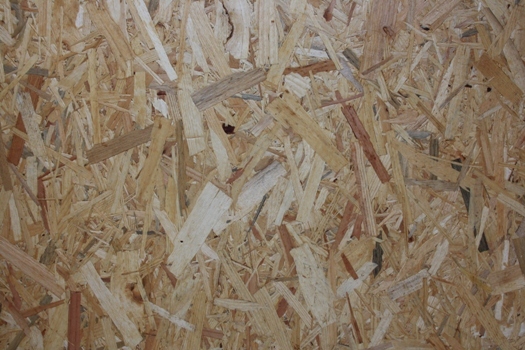 Particle boards are composite materials formed of resin matrix and wood chips as filler component. Particle-boards or chip-boards are manufactured by mixing wood particles or chips with a resin and casting it into a sheet. Particle boards are also manufactured with Portland cement (OPC) as the binding agent. Particle board is denser than conventional wood, but is the ‘lightest and weakest’ type of fiberboard. 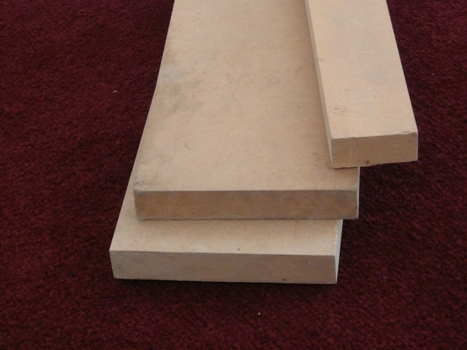 Medium-density fiberboard (MDF) and Hardboard, though are stronger and denser than particle board. It. Particle boards have many different grades of densities, where the higher density has greater strength, and better resistance to failure of screw fasteners. Hard-boards are type of fiber-based boards, an engineered wood product, and due to its superior density often called high-density fiberboard (HDF). It is stronger and harder, due to the expanded wood fibres that are highly compressed. The fibres are hot pressed, to form a board, bonded mainly by lignin, though small amounts of binding agents are added for certain structural properties and surface qualities. It does not split or crack like the particle boards. 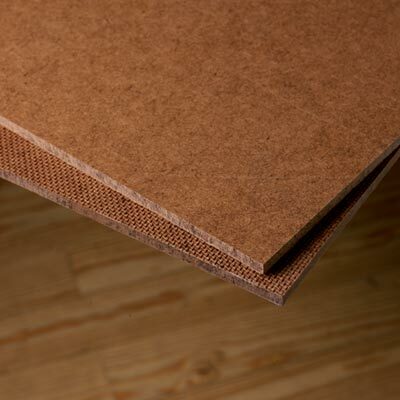 Hardboard is dry felted Fiberboard with one or both sides finished smooth. It is available in various densities. Tempered Hard boards have one or both face impregnated or coated with a resin to provide better stiffness, wear-ability and moisture resistance. Hard boards are generally dark in colour due to the use of phenolic bonding media. Soft-boards are engineered wood products, and are very similar to hardboard. The mass of soft-board is less dense, and cohesive. 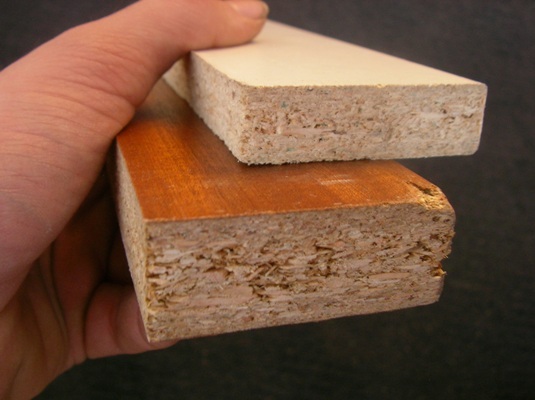 Soft-boards are used for insulation, sound proofing and as tack or pin-up boards. 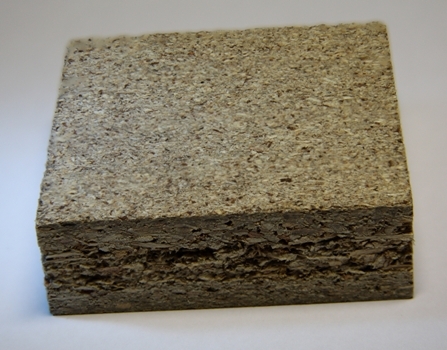 Soft-boards with bitumen impregnation were produced for slightly better weather resistance. Medium-density fiberboard (MDF) is an engineered wood product made by breaking down residual material after sizing and processing of hardwood or softwood into fine wood fibres, often in a de-fibrator. It is then combined with resin binder and formed into panels with application of high temperature and pressure. It is stronger, and much more dense than particle board or plywood. MDFs are fiberboard with larger component of binding material, nearly comparable to a particle board. MDF cannot accept self-tapping screws, but needs pre-drilled or pilot holes. The screw retention in the edge side is poor and it may split. Most of the wood-based products are formed with Amino-formaldehyde-based resins. One of the low-cost and fast curing binding medium is the Urea-formaldehyde (UF) resin. It is dominantly used in the Medium Density Fiberboard (MDF) industry. UF resin has some environmental issues as it has potential problems associated with formaldehyde emissions. A similar product is Melamine-formaldehyde (MF) resin. This is nearly a colourless compound, with very superior water resistance. It is more durable and does not evolve formaldehyde. Laminate manufacturers use this resin. A third low cost binding agent is Phenol-formaldehyde (PF) resin. The phenol component can be of natural as well as of synthetic origin. PF is somewhat slow curing, and has a darker colour. Waterproof plywoods seem darker due to the use of PF resin. PF resins do not emit formaldehyde after curing.